By Michael P. Goldenberg "Markov Chaney"
This review posted at Amazon. 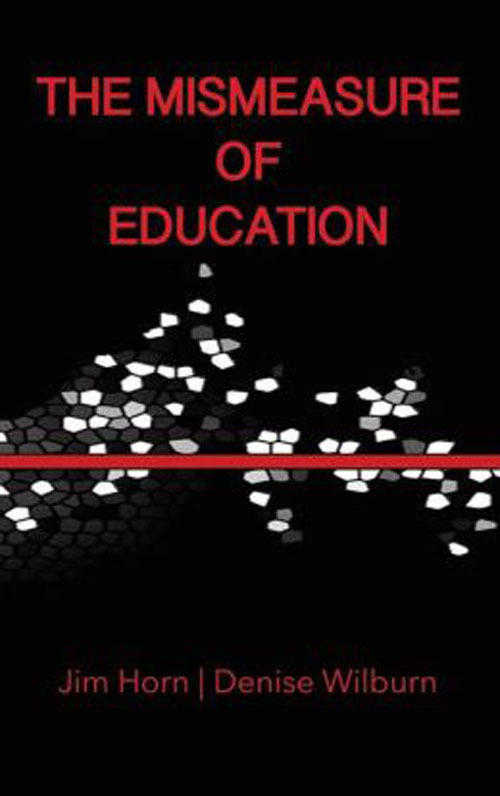 THE MISMEASURE OF EDUCATION pays homage in its title to Stephen Jay Gould's classic MISMEASURE OF MAN, a book that exposed much of the sordid history of intelligence testing in the United States and how it became almost from its inception tainted by racist assumptions and an obsession with rank-ordering human beings in order to both justify and preserve social and economic injustices and inequities. Horn and Wilburn take great pains in the opening section of the book to review much of Gould's work (including a correction of one error Gould's fervor to expose and undo a host of entrenched wrongs and disinformation probably led him to too quickly take as fact. Nonetheless, the authors make clear that Gould's work is seminal in understanding some of the shaky assumptions upon which a great deal of current American educational policy is built, not the least of which is the belief that intelligence is a well-understood "thing" that can be and has already been identified and measured in individuals and groups. 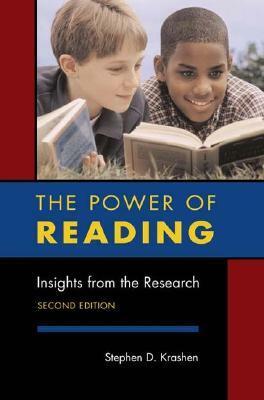 If the book ended with that opening section, the authors would have already provided invaluable service to both readers new to the subject and those familiar with Gould's book as well as other aspects of educational testing and measurement. It is unfortunate in that regard that both Gould's book and many of the books of Gerald Bracey, a tireless analyst and debunker of bad educational research are not required reading for everyone from the local school building to the US Department of Education who wishes to understand, let alone attempt to make, educational policy. 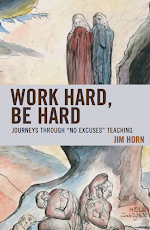 But this book will give those who don't have time to explore that larger body of work a solid basis to think about contemporary education policy initiatives on both the state and national level. And that is an absolute must as the United States is struggling with probably the most radical and yet reactionary set of educational programs in its history: No Child Left Behind, Race to the Top, and the Common Core State Standards initiative. 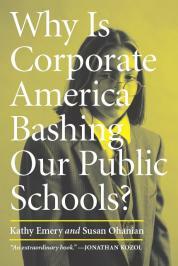 In order to help serious readers better understand the history that has gotten us to the current state in which private, corporate, obscenely moneyed interests are virtually dictating educational policy-making, academic standards, assessment, funding, teacher evaluation, firing and hiring, shutting down and opening schools, as well as the rampant growth of for-profit charter schools and for-profit management companies simultaneously feeding at the public trough and avoiding the same sorts of accountability (in terms of student learning and growth, teacher quality, and financial responsibility and transparency that those promoting these schools demand of traditional neighborhood public schools), and the relentless push for vouchers, the authors devote the bulk of this volume to analyzing the history of education "reform" (or as I prefer, the more honest term, "deform") in Tennessee. Tennessee is chosen for several reasons, most prominently because it was far ahead of the curve in inviting private interests to help it shape state educational policy to serve the interests of profiteers, opportunists, politicians, charlatans, and others eager to gain access to the public money devoted to educating children in free, open, public schools. In many ways, as Horn and Wilburn make clear, Tennessee became a voluntary laboratory for various experiments and manipulations of public schools that are now becoming the law of the land in all but a handful of states. The insistence on marginalizing teachers, parents, and students, promoting standardized tests as the only valid measure of educational effectiveness, the blind trust in data as THE solution to all problems of teaching and learning, the even more thoroughly blinkered faith in "the free market" in education as the proper way of ending the so-called learning gap (and ignore the more difficult and embarrassing poverty gap, social and economic injustices of our entire system, and other factors far outside the sway and control of schools, administrators, and teachers, all the while placing the entire blame for shortcomings and failures anywhere but on those most responsible for and positioned to address the problems the system has inevitably caused. The case of Tennessee thus serves as both a microcosm of most of the policy initiatives promoted by both the administration of conservative Republican George W. Bush and that of ostensibly progressive Democrat Barack H. Obama, and a chilling warning of how ineffective these policies have already been and are likely to be when expanded to other states and the nation as a whole. Along with Diane Ravitch's recently published REIGN OF ERROR, this volume belongs not on the shelf, but in the hands of anyone who thinks she understands what's wrong with our public schools and how to go about fixing them, who takes at face value that our schools are failing and that the solution is to do more testing and bring in private for-profit companies to make education hum. Ignore these books at your peril and that of your children and grandchildren.